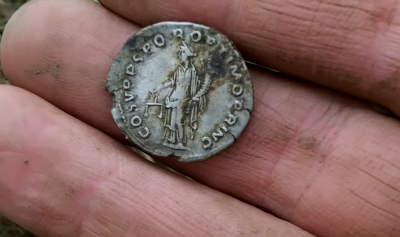 Metal detecting for coins is always exciting but can you imagine finding a couple of Roman silver coins. 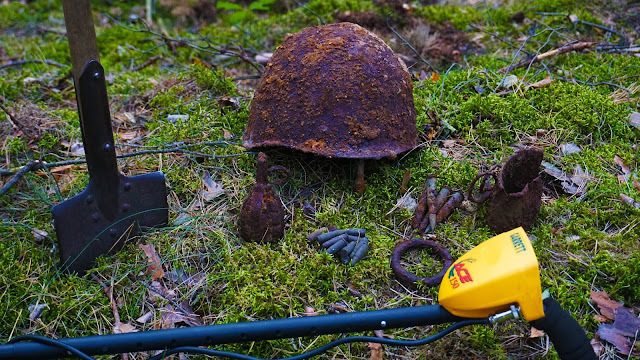 That's exactly what Deep Digger Dan of Youtube found, along with some other interesting artifacts, on a recent dirt fishing trip in England. 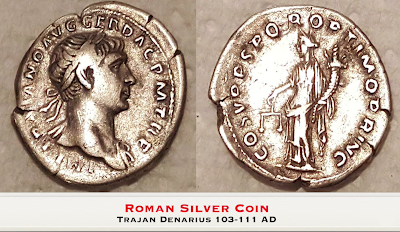 Watch as Dan unearths two Roman silvers that date back to 103-111 AD. Talk about a bucket list find. Not every metal detecting trip is going to yield such treasures, just remeber research is key and location is everything. You can't expect to find Roman silver coins if you aren't hunting in an area where the Romans occupied. Now that may seem painfully obvious but that statement is intended to drive home the point that you must know what you should be searching for depending on where you are dirt fishing. Learning your machine and researching your hunting grounds will vastly improve your chances of finding treasure over trash. Don't be shy to practice in a local park, playground or even in your own backyard. Try doing a mock hunt by burying some different coins and other metals in the ground to get used to the different tones and functions of your machine. Also, don't be shy to ask for permission to hunt on older properties that may be privately owned. If you explain yourself and come across as polite and professional you'd be surprised how many people will let you search there properties. 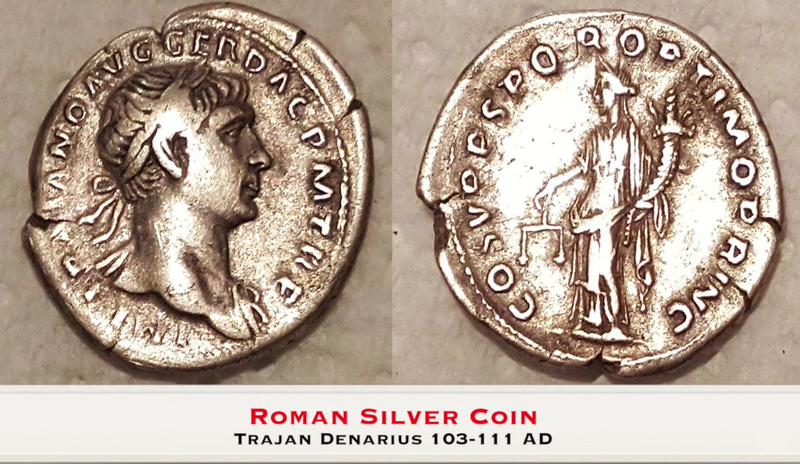 2 Roman silver coins, a dirt fishing find of a lifetime! Want to be featured on our website or have a find of a lifetime that you would like to share with us. Thanks for watching and as always best of luck and happy hunting!